The Ford Mustang is not only one of Ford’s most iconic models ever made, it may well be one of the most iconic automotive monikers of all time. Released in March of 1964, the first generation of the Ford Mustang was a highly successful model for the Blue Oval, with approximately 1.3 million being sold in the first two years of production. The first generation of Mustang stayed in production until June of 1973, and, in its first lifecycle, the pony car changed dramatically. The major changes happened in 1970, when Ford’s then new President, Semon Knudsen, authorised changes to the Mustang to make it more focussed on luxury rather than performance. These changes for the ’71 model onwards included the car growing three-inches in width, a host of mechanical changes and redesigned body styles. The refreshed Mustang could be had in three different body styles; a two-door hardtop coupe, two-door fastback and a two-door convertible. Power was derived from a vast range motors that included a 3.3lt and 4.1lt inline six-cylinder or a 4.9lt, 5.8lt, 6.4lt or 7.0lt V8. The shove from these motors was sent to the rear wheels via either a three or four-speed manual or a three-speed automatic transmission. 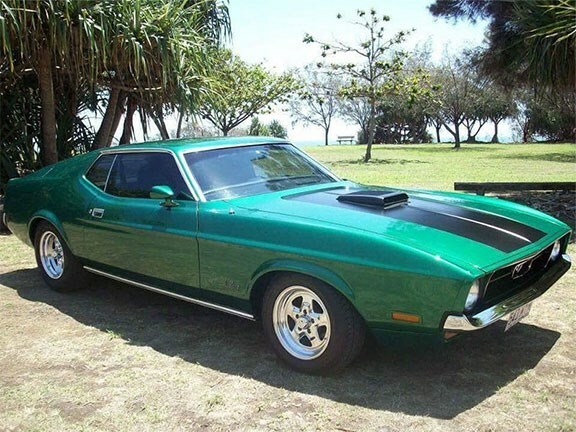 This particular ‘Stang is a 1971 fastback and comes equipped with the 4.9lt bent-eight motor and automatic transmission. According to the seller, the Mustang has undergone a "full rotisserie restoration" in 2011 and has only travelled 10,000 kilometres since then. The Mustang is $34,000 and anyone interested in this American icon can view the full listing here.